UK consumers are 4 times less likely to repeat-purchase from retailers who ‘ghost’ them after a sale, according to new research. Narvar and YouGov have conducted a survey of nearly 3000 UK consumers to uncover their biggest bugbears when shopping online. 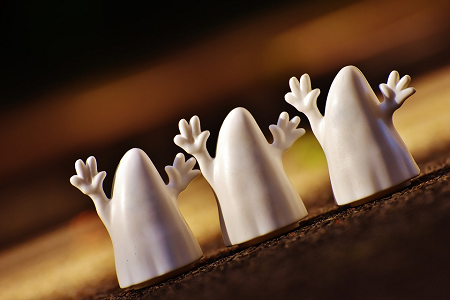 Being “ghosted” – or when consumers feel abandoned by a retailer following a purchase – is one of the main reasons why consumers would switch retailers after buying from them. The study shows that retailers are failing to secure customer loyalty and retain existing buyers when they neglect to provide them with timely, accurate and personal communications following a purchase. Important communications include: fast and direct communications about their orders, accurately predicting delivery date, and being told any bad news – such as delays – straight away. These kinds of interactions were even more important to consumers than, for example, not having an option for home delivery, click and collect, or in-store returns. As it costs at least 5 times more to acquire a new customer than to retain an existing one, these findings have significant implications for retailer’s post-purchase customer strategy. •	Millennials aged up to 24 are the group most likely to be irritated by a lack of communications in this way (25%). •	A third would not use a retailer again if they failed to give any follow-up after a purchase, such as accurate order tracking or how-to guides. •	Having a bad delivery experience was another key reason why customers would switch retailers, showing the importance of the experience beyond the buy button in customer perception. One in ten consumers wanted to see follow up-content such as examples of how others are using the products, suggestions for how to make best use of items, and personalised recommendations to really secure their loyalty. 1 in 5 would love just a simple “thank you”! 2957 UK consumers from 21-65 who made a purchase online in the last 6 months were surveyed independently by YouGov. Of these, one quarter (24%) shopped online at least a few times a week.